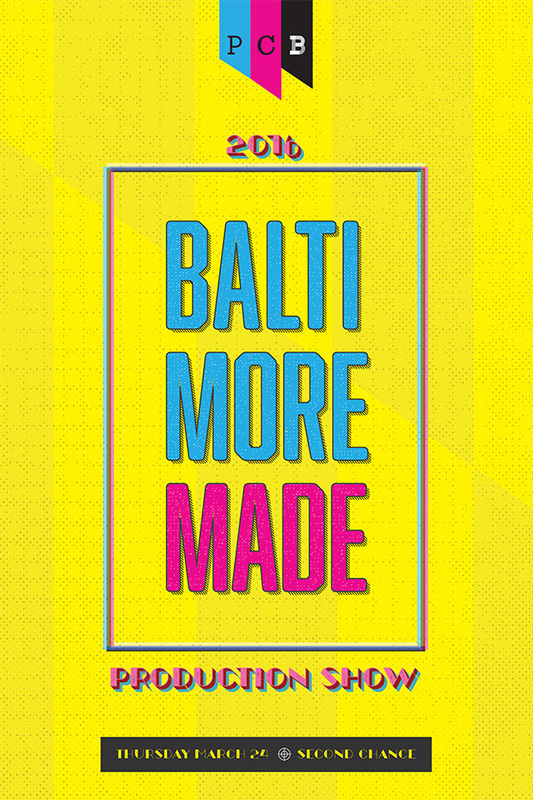 Announcing the 2016 PCB Production Show – Baltimore Made, More Made in Baltimore. We’re all extremely proud of our Baltimore heritage. Take a moment to look back, there’s a rich history here in real things, in our culture (crabs, Bohs, O’s), historically significant, (Fort McHenry, our National Anthem), advancements directly related to the Printing & Manufacturing Industry. Baltimore is a city that makes things. We produce. We’re a blue-collar town that loves to make and enjoy the fruits of our labors. PCB is proud to have its roots in Baltimore. Linotype was invented in Baltimore and we have a vocational school named after it’s founder. Globe posters were printed in Baltimore, promoting the hottest events across the country. Discover new vendors to help your creative ideas flourish. Enjoy some locally made food and drinks while you make new connections and expand your network. Find inspiration for your next great creative project. Share your love of creativity in your hometown. Embrace the charm that makes us Charm City. Food Station Sponsor The event will have three (3) different food stations. ONLY 2 left!